When will be Queen Boss next episode air date? Is Queen Boss renewed or cancelled? Where to countdown Queen Boss air dates? Is Queen Boss worth watching? The Elevator Pitch can make or break your company; the Entrepreneurs head to the One World Observatory at World Trade Center where they pitch their products to a top investor... while riding to the top of 102 floors. 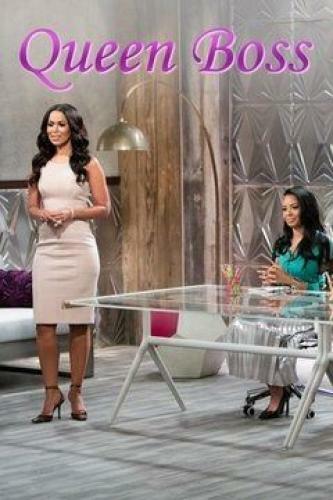 The Entrepreneurs must decide on a person to hire as the new Social Media and Marketing Manager for Vanessa Simmons. The six remaining Entrepreneurs split into two teams of three and decide amongst themselves which product to sell in a ``Pop-Up Shop on the streets of Harlem. In the Final Queen Boss Challenge, the remaining Entrepreneurs only have one hour to meet with two Venture Capitalists spread throughout New York City to pitch their product. Queen Boss next episode air date provides TVMaze for you. EpisoDate.com is your TV show guide to Countdown Queen Boss Episode Air Dates and to stay in touch with Queen Boss next episode Air Date and your others favorite TV Shows. Add the shows you like to a "Watchlist" and let the site take it from there.